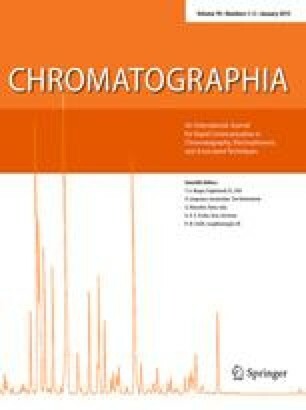 In parallel to a long lasting search for universal multi-purpose sorbents, the area of solid phase extraction (SPE) is recently experiencing a rapid development of new types of tailor-made class specific or compound-specific sorbents which are designed to respond to the increasing demand for selectivity and efficiency in sample clean-up prior to quantification. An important issue here is the enrichment and clean-up of complex samples, such as environmental waters, sediments, biofluids and foodstuffs prior to detection. This because the analyte is often present in low concentration in a complex mixture of similar compounds and therefore needs to be isolated and enriched in order to be detected by standard analytical techniques. The fact that molecularly imprinted polymers (MIPs) can in principle be prepared against any low molecular weight target molecule, can endure harsh working conditions and work in organic solvents makes them extremely attractive as class or compound-specific sorbents. This review critically discusses the application of the technology of molecular imprinting to solid phase extraction with examples of the different approaches (off-line, on-line, coupled column), the different sorbent formats (cartridge, membrane, solid phase microextraction (SPME)) and the different protocols (selective adsorption, selective desorption) taken from the literature. The issues involved in the development of a new MISPE protocol (choice of template, functional monomer, crosslinker, evaluation of the phase and validation of the extraction protocol) and the problems associated with the bleeding of non-extracted template are also discussed.